Ms. Amanda Egan is the International student guidance counselor. Ms. Egan has been a counselor for seven years and has worked in education for thirteen years. She has a PPS credential issued by the State of California, a Bachelor of Arts, a Masters of Science, and a Masters of Education. She has also completed post graduate work at the University of Southern California. Ms. Egan is the Assistant Principal of Academics and Law Academy moderator. Mrs. Andrea Torrez is the Junior and Senior guidance counselor. Mrs. Torrez has worked at Aquinas for eleven years in the counseling department and as a Psychology teacher. She attended California State University San Bernardino for her Bachelor of Arts degree in Psychology and earned her Master of Arts in Educational Counseling and Pupil Personnel Services Credential from the University of Redlands. Mrs. Torrez also moderates the National Honor Society, and California Scholarship Federation. Ms. Amber Lejay is the freshmen and sophomore guidance counselor. Ms. Lejay is the advisor for the school newspaper, moderator for the Academic Decathlon, girls soccer coach and an assistant track and field coach. Ms. Lejay earned a Master of Science Degree in Educational Counseling and a Bachelor of Arts degree in Television Broadcasting from the University of La Verne. She also earned a Pupil Personnel Services Credential through the state of California and is a Registered Behavior Technician certified by the Behavior Analyst Certification Board. Aquinas High School is dedicated and committed to helping our students strive to do their best. 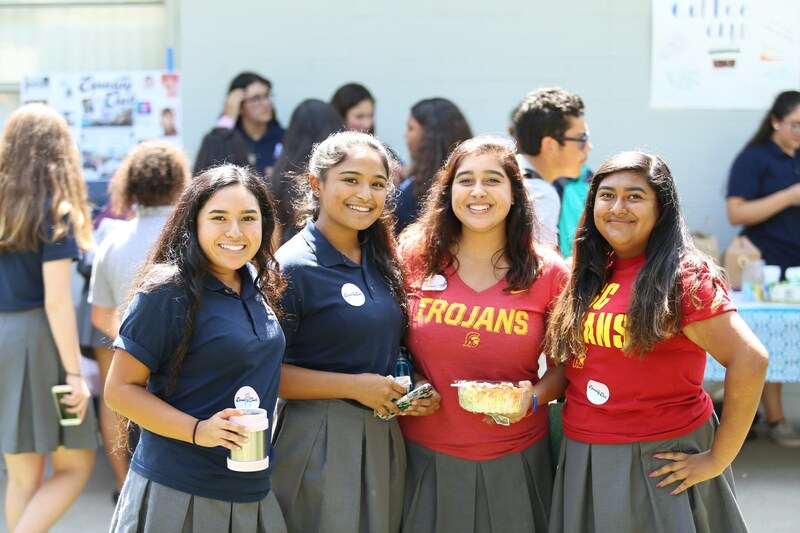 Our Catholic tradition enables the entire community to develop and share a common vision.